Amazon is now allowing pre-orders of the official Pulse DVD. Unfortunately the region is not specified, so those outside of DVD region 1 may want to be cautious. It looks like everything is working now. Please report any problems to problems@pinkfloyd.net. I thought this had already been posted here but I don't see it anywhere... Brain Damage recently published an update with tons of information about the Pulse DVD. The release date is in early December and the DVD contains loads of extras. The previously-postponed Roger Waters chat at MSN has been rescheduled for 7pm Eastern time (2300 UTC) on Monday, October 17. 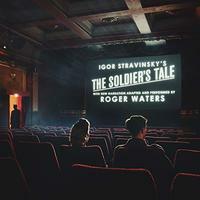 According to an email from Sony/BMG, the Roger Waters chat tonight on MSN has been postponed. The news has not yet hit Roger's or MSN's sites, but the email appears legitimate. Chat with Roger Waters LIVE! Chat with Roger Waters on MSN.com! Your chance to chat with Roger! On September 26th, Roger will be chatting on MSN.com. Come find out about his inspirations for "Ça Ira" and anything else you might want to know! According to Brain Damage, the Floyd will be together again for their induction into the UK Music Hall of Fame. It's not entirely clear whether they will be playing together or merely appearling together, though. Roger Waters turned 62 today, September 6th. Let's all celebrate by playing some of his music! Rolling Stone is running a new interview with Roger Waters. Topics covered include the reunion, Ça Ira, his interest (or lack thereof) in a Pink Floyd tour, and the blues. It's brief but interesting.